Every month in the Jewish calendar begins with a little celebration. The moon is dark (new moon) and we look forward to what the month will bring. It’s an optimistic celebration, looking forward to what is good without dwelling on the bad things that might happen. In Biblical times, there were special sacrifices for Rosh Chodesh, and the shofar was blown to announce the new month. The Diaspora Jews found out about the new month via signal fires lit at Jerusalem, where the observation of the moon took place. This became more and more difficult under Roman persecution, which is why Jewish astronomers worked to calculate a calendar that would allow Jews to observe the festivals without access to the site of the Temple. Customs for Rosh Chodesh vary among the Jewish people. 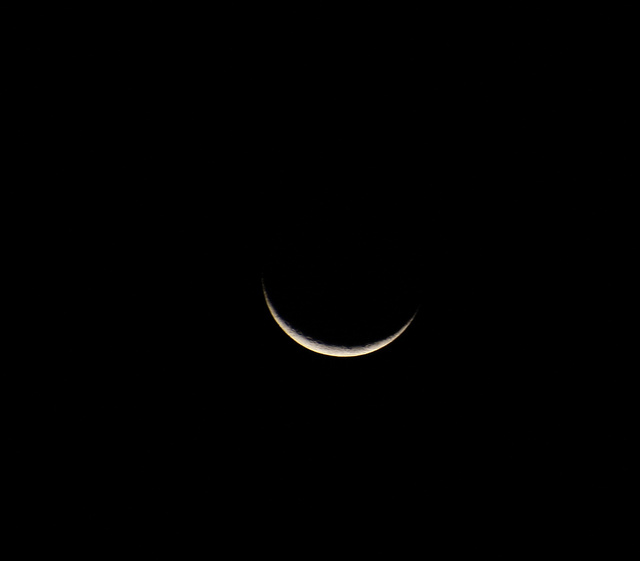 In Reform congregations, Rosh Chodesh is observed for one day, beginning at sundown. It is first announced on the previous Shabbat. Then on the actual day of Rosh Chodesh, we add prayers to the Amidah and the Birkat Hamazon (prayer after meals), giving thanks for the new month and asking God’s protection. A short service of praise (Hallel) is added to the service. There is a special Torah reading for Rosh Chodesh (Numbers 28:1-15). There is an old tradition linking women to the Rosh Chodesh holiday. Since the 1970’s, women have begun gathering for prayer and study on Rosh Chodesh, and you may hear reference to a “Rosh Chodesh group,” a group who meet regularly on the first of the month. Over the last quarter century, a group of women called The Women of the Wall have met at the Kotel in Jerusalem to pray and read Torah, and to advocate for their right as Jewish women to wear prayer shawls, pray, and read from the Torah collectively and out loud at the Western Wall.